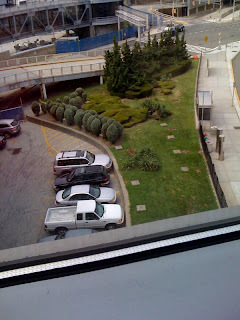 I'm thinking this landscape, snapped at JFK, may be the way I want the final section of the yard to look, with a few tweaks of course. Thoughts? Comments? This looks like a great idea if you mean the shape. Straight lines are kind of boring, but this makes it look interesting. I don't think the 4 cars would look that good in your beautiful yard.